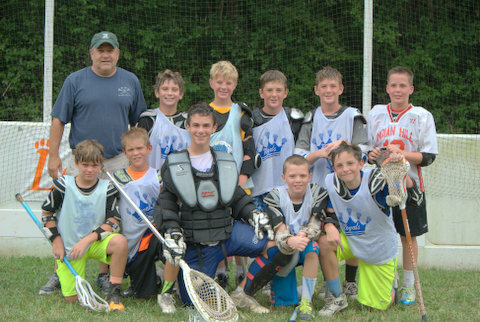 successful season of Loveland Box Lacrosse! Thanks for a great box season, everyone. Big thanks also to our ref crew and our score keepers! Congrats to the 2015 U10 Novice Division Champs! Congrats to the 2015 U12 Pee Wee Division Champs! Congrats to the 2015 U16/U18 HS Champs – Team 1! 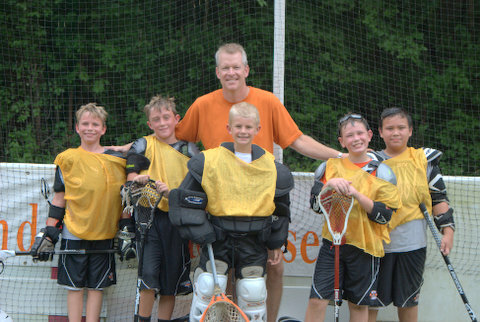 The Loveland Summer Box Lacrosse League is for beginners and experienced players, while also providing an opportunity for baseball-playing buddies to try lacrosse during the summer. It's fun, it's laid-back (games only, no practices) and inexpensive. 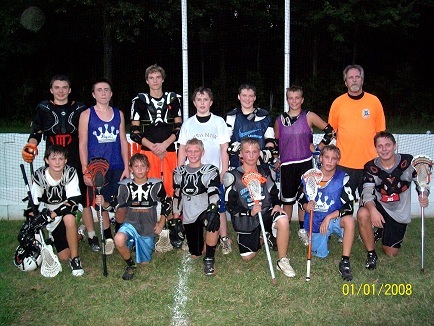 The 2012 Loveland Summer Box Lacrosse League at Royal Fields in Symmes Township featured the first season of the only outdoor box lacrosse arena in the Midwest and also added a league for the girls. 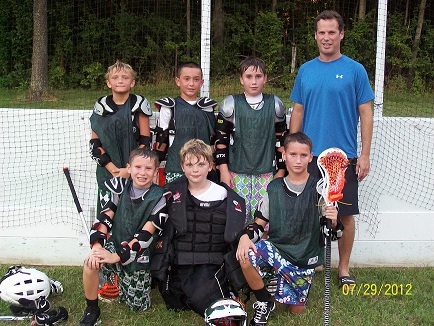 The box lacrosse rules help maximize the players' fun while improving their stick-handling skills. It's played in the outdoor box (think outdoor hockey rink on grass); 5-on-5 plus a goalie, no long sticks (everyone plays offense), no offsides, and with the ball always in play. No body checks or cross-checking allowed; stick checking only. (The girls' league allowed no stick or body checking.) The games featured two 20-minute running halves with a 5-minute halftime. Refs work the games and bench coaches are provided for all teams; substitutions are made on the fly and time-outs called only for injuries. 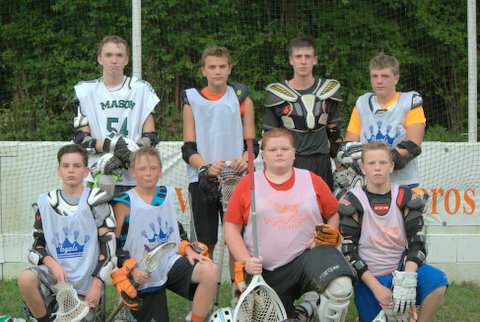 The boys' season ends with a two-week tournament for each division; check out the 2012 & 2013 Summer Champions below. 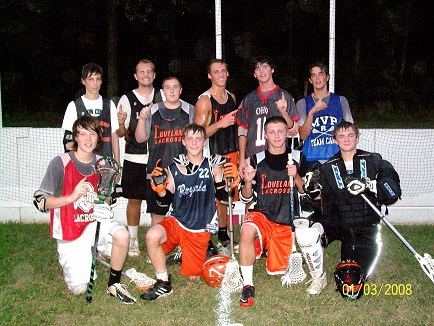 Winners of the 2013 league: Top row (l-r): Tyler Oblong, Gerry Jheling, Andrew Newbold, Andrew Dowd, Zach Cotsonas, Tyler Moirose. 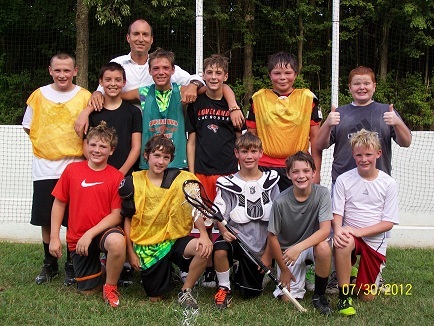 The inaugural season of the Men’s Elite Box Lacrosse League wrapped up the week of August 13 at the Loveland Outdoor Box Lacrosse Arena at Royal Field in Symmes Township. Four teams made up of local and regional elite college and post-college players qualified for the playoffs. The semi-finals matched top seeded Loveland against the veteran Cincy Men’s team, and second seed Moeller against the University of Cincinnati. First round action saw a team of mostly Moeller alumni easily handle the UC team, coming away with a 16-7 win despite best efforts of 2012 NCLL Final Four MVP Joe Werner (Loveland/University of Cincinnati). Former NCAA Division I standout Sean Finegan (Moeller/University of Delaware) lead all scorers with 4 goals and 1 assist, followed by Matt Bertrams (Mason/University of Albany) with 3 points (2g, 1a). 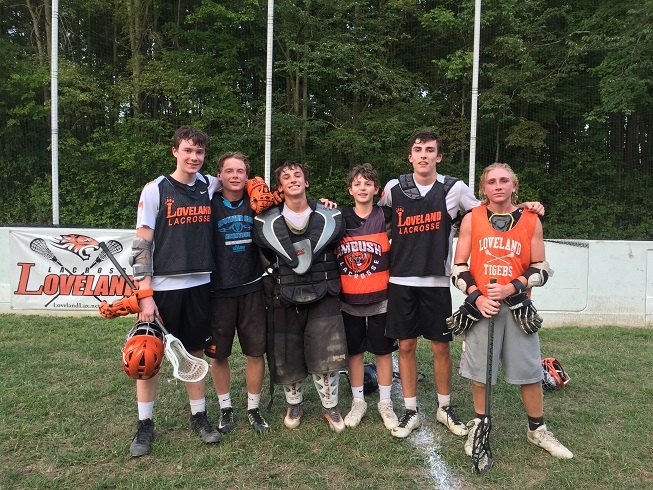 Other semi-final action was much closer, with the undefeated Loveland team alumni notching 3 goals in the last 4 minutes to force Cincy Men’s into overtime. 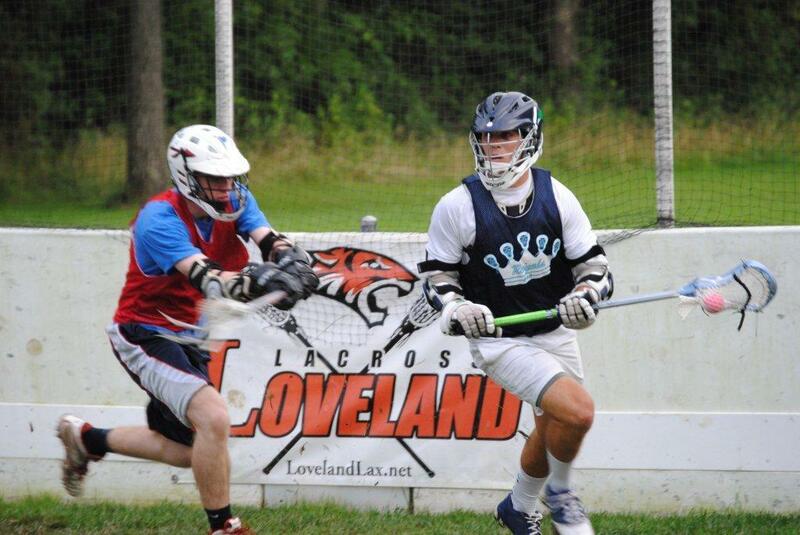 Loveland goalie Sean Murphy (KY Stickhorses/Ireland National Team) fended off two shots from Alex Cole (Sycamore/Vermont) in the closing seconds, paving the way for Andrew Newbold (Loveland/ Sacred Heart) to dive from behind the cage and score to squeak out the 14-13 OT win. Things were no less dramatic for the Loveland Men’s team in the final against Moeller. Despite leading 7-4 at halftime, Loveland’s offense stalled with no goals scored by either team in the first 10 minutes of the second half. A strategic timeout at the 10:35 mark gave the Moeller squad a chance to regroup. Finegan scored 3 quick goals (6g, 2a) and a wide-open Derek Kihembo (Sycamore/Johns Hopkins) put Moeller up 8-7 with 9 minutes remaining. Newbold (4 g, 1a) was able to tie the score at 8 with less than 3 minutes remaining, and solid goalie play by Murphy (22 saves) and ball control by Loveland allowed them to use their final timeout with less than 2 minutes to go. Tyler Oblong (Loveland/Essex CC) threw a double pump fake past Moeller goalie Dustun Gregory (16 saves) with :18 seconds left in regulation to secure the 9-8 win and the 2013 title.